The 4 years gamble today redoubles the extent of the investment for the setting up of Milan Fair Foundation art collection, effective support for young artists and their galleries. Also this year Milan Fair Foundation takes advance of the spring appointment of MIART (International Fair of Modern and Contemporary Art) to choose the artworks addressed to be part of its collection. Milan Fair continues to bet on young artists and in the 2016 redoubles the investment budget, choosing the pieces of Michael Krebber, Nick Mauss and Irma Blank from Dépendance of Brussels, Campoli Presti of Paris – London and P420 of Bologna. We met Milan Fair Foundation President Benito Benedini, who told us about the birth and future perspectives of Giampiero Cantoni fund, and the Milan Fair SpA CEO Corrado Peraboni, who unveils an unexpected archive. Alessandra Ghinato: How was born Milan Fair Foundation fund for art acquisitions and what are the goals? Benito Benedini: The fund was established in 2012 by the former President of Foundation Milan Fair, the Senator Giampiero Cantoni and has the goals to enrich and improve the artistic heritage of the Foundation. So we began the collection of some artworks, especially of young emerging Italian artists to give a contribution to MIART Fair and art in general. A.G.: How much is the Foundation’s budget for art? Benito Benedini: It’s a small contribution. Unfortunately we haven’t big amounts to bestow but over the last year we doubled the fund, so we had the opportunity to acquire interesting pieces. We increased the investment to 100 thousands euros. It’s still a limited sum to buy artworks. But we purchase works of young talents with still restrained price, so we can satisfy many artists and in the same time develop our collection. It isn’t a profits matter but a support to young artists. A.G.: Is MIART the privileged channel for the art acquisitions? Benito Benedini: The Foundation acquires among the artworks exhibited at MIART. Saying MIART, we include a series of galleries present at the fair. In one hand the gallerists support the fair, on the other the Foundation, that is part of Milan Fair SpA group, helps them with a small investment. We can say MIART was created by Milan Fair. Exactly – Corrado Peraboni intervenes- before it was a very limited exhibition in Novegro. The jump to firstly National and then International fair took place eighteen years ago with the acquisition, with Salone del Mobile, by Milan Fair. We are enhancing – Benito Benedini adds – the city. During the press conference I said Milan is famous for economy, design and fashion. Now it is getting importance for art. When I was a young boy, Milan was considered a industrialized city. In the latest years, there were many changes about the artistic presence in Milan: from hundreds galleries to museums. Milan is valuing art and becoming an art city, as other widely recognized cities such as Florence, Venice, Rome, Siena. Milan is the crossroad not only of Italian art, but of global art, understood as European and international. A.G.: How do you choose the “right” artwork? Benito Benedini: The choice is determined by the taste of the person who is making the selection. This year we had our vice-president Giovanna Martinengo who has selected an artwork. It was an impact choice. A.G.: Have you already considered the matter of art cataloguing and digitalizing? Benito Benedini: We are at the beginning of a small collection that counts more or less twenty pieces. We haven’t thought yet about digitalization but it is surely a matter we are very interested in. In addition the Foundation has an important poster collection of 90 years of Milan Fair history. It’s an amazing historical archive we are now digitalizing. A.G.: Are the archive and the collection open to the public? Corrado Peraboni: The archive is usable by request. We received many requests by companies that has participated years before and want to find the traces of their famous productions, such as Vespa or coffee maker Bialetti. There are sculptures, paintings, movies, posters, objects and many companies glean their past in our archive. 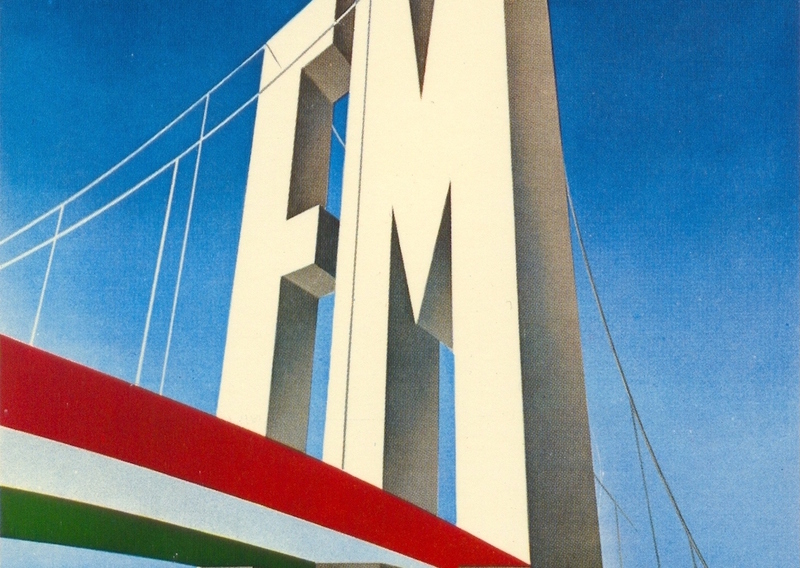 Cover Image: CPM Poster, Milan Fair April 12-30 1950. Graphics Franco Lombardi and Rossettigian. Courtesy of Fondazione Fiera di Milano.